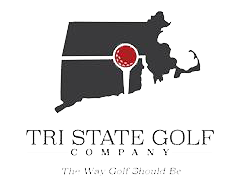 Tri-State Golf Pass – Welcome to Tri-State Golf! Become a 2019 Tri-State Golf Member! Members Receive advanced Pass Holder Tee Times, exclusive tournaments and more! Whether you play every day of the week, including weekends, just weekdays or only after 2pm, we have the right pass for you! Become a 2019 Tri-State Golf Pass Holder and enjoying exclusive playing privileges at Raceway Golf Club, Melody Hill Country Club and Dudley Hill Golf Club. Interested in membership? Please contact our Membership Director Sean Whiting at: Membership@tristategolfcompany.com or via phone at 774.266.6132 for more information. Referral Program: Refer a new members and receive a $200 credit to your club of choice (also known as your home club). Valid to all tiers except Junior. The new member must list the referring member at time of sign-up to be valid. A New Member is anyone that has not been a member to any of our Tri-State clubs within the past year. Offer cannot be combined with other promotions and is valid 4/11/17 onward. You can also purchase a pass to a single club.